Nigerian top Show host Labi Layori has left people staring at the midriff of singer Chidinma Ekile after a comment she dropped on her page suggested the singer is pregnant. The petite but very pretty Chidinma posted some new photos which led her fans drooling and appreciating her beauty. 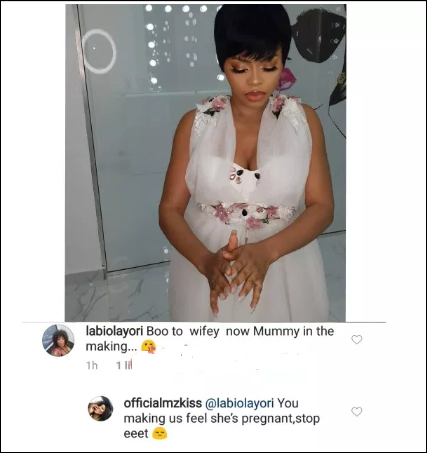 Labi Layori who acts like a big sister to Chidinma on many occasions stepped into the comment section, as usual, to shower encomium on the singer but her comment has left people wondering if Chidinma is expecting her first child. This was the comment dropped by Labi on Chidinma’s Photo.